If you’re living in New York City and plan to be shopping like crazy this holiday season, you’re in for a treat – or at least, finding what you’re looking for is going to be so much easier. Launched earlier this week, new real-time shopping search engine Goodzer (www.goodzer.com) lets shoppers find any product in stores throughout New York, with information such as which stores are carrying what product, comparative pricing, distance to the retailer, for example. After New York, Goodzer has plans to expand into other markets. 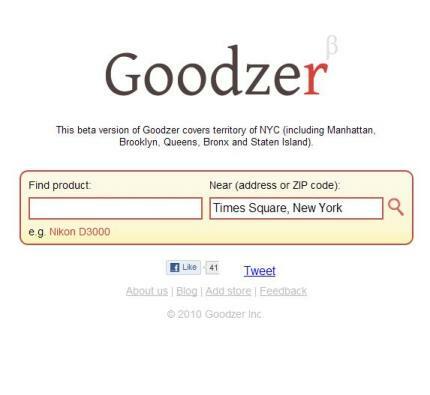 Goodzer currently allows real-time product searches in 15,000 brick-and-mortar retailers throughout the five boroughs of New York City, including Manhattan, Brooklyn, Queens, The Bronx, and Staten Island. Search results display product pricing, real-time in-stock status, and distance to the retailer through full integration with Google Maps and Street View for the navigationally-challenged. 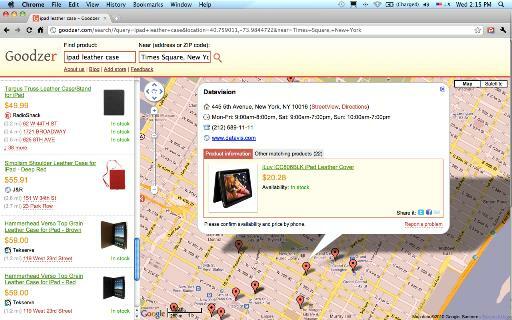 Find any product carried in brick-and-mortar stores throughout New York with Goodzer. The service plans to expand into other markets soon. The inspiration for Goodzer originated from a pain point experienced by the wife of Goodzer CEO and co-founder Dmitry Pakhomkin, who was frustrated by the amount of time she was spending looking for consumer items. Dmitry then tasked himself to create a specialized online search that faciliated shopping information about brick and mortar retailers. He then began working with Moscow-based co-founder Artem Zarutskiy, after reading a blog detailing Artem’s work on a similar localized search program for Moscow. Their partnership was sealed and they began work on Goodzer in April this year. The technology Artem was working on is now used to power Goodzer. The founders are currently working on a mobile version to be available for the iPhone, with plans for Android and iPad in the near future. On a sidenote, can you imagine if you used the power of Goodzer for Small Business Saturday? I can.